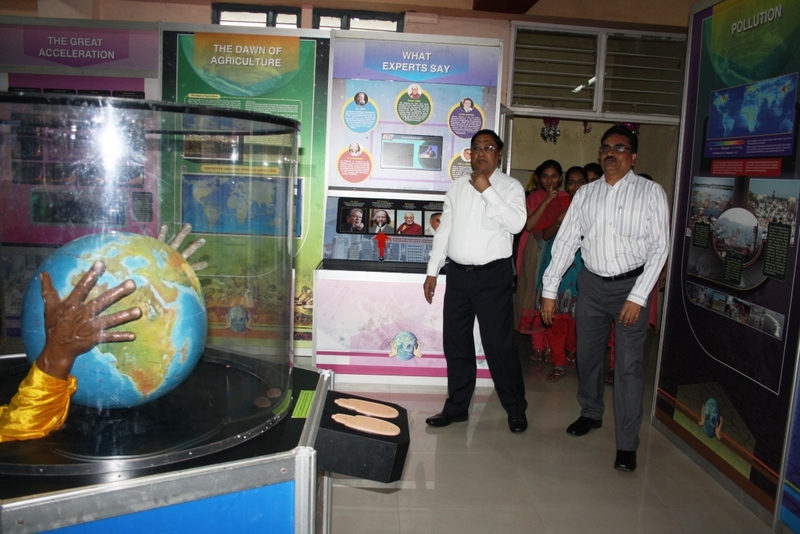 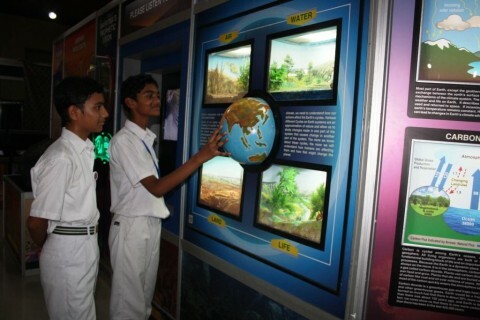 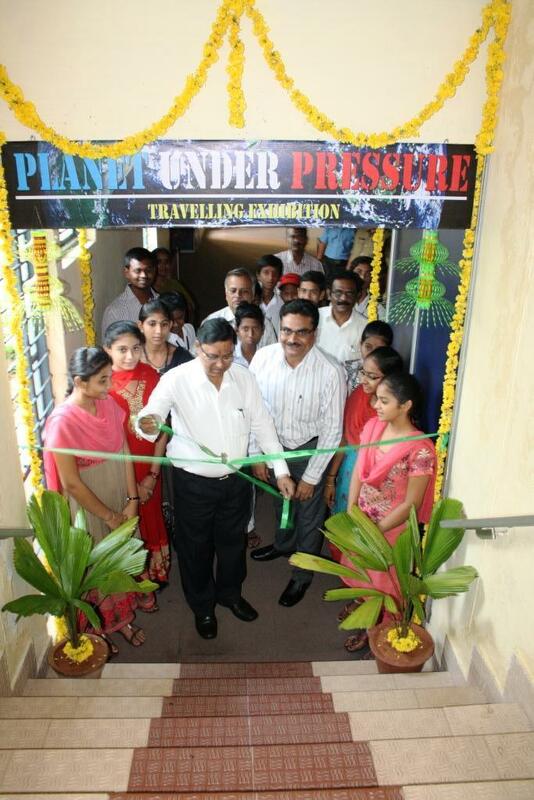 A travelling exhibition on ‘Planet Under Pressure’ was inaugurated by Prof. W Rajendra, Vice-Chancellor, Sri Venkateswara University, Tirupati at Regional Science Centre, Tirupati on 18th April 2015. A poster and a brochure was also released on the occasion. 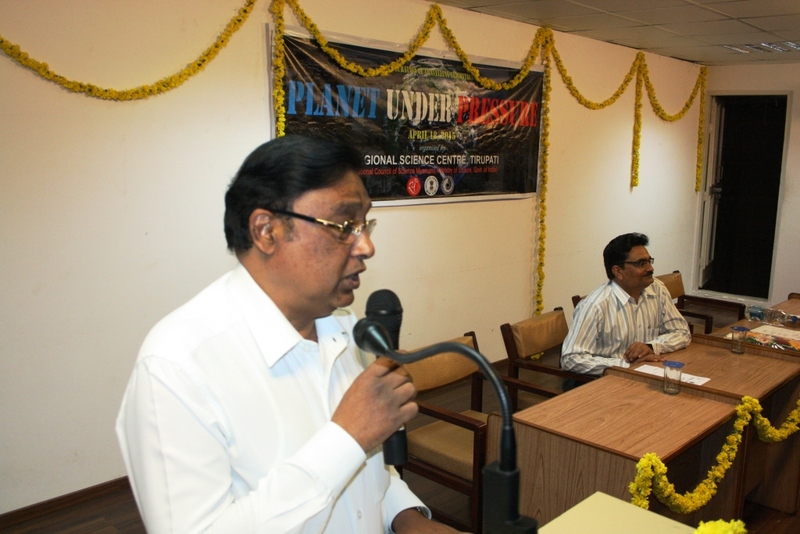 In his inaugural speech, Prof Rajendra emphasized on the various types of pressures on the planet Earth and how it is affecting the mankind. 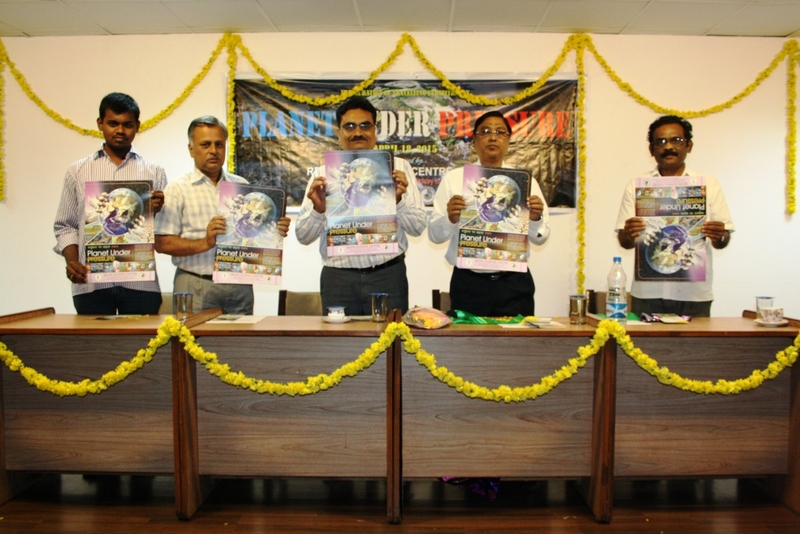 As the pressure is mounting by each passing day he also stressed on the need for a quick response for all these issues of the planet otherwise life forms may not continue in the same form on the planet like its ancestors. 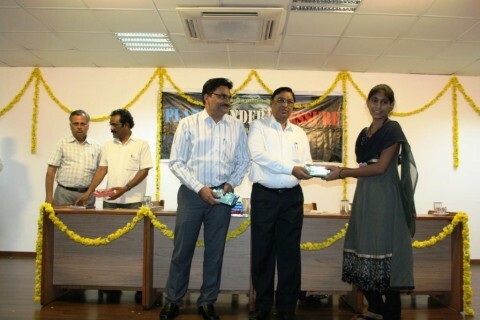 He also distributed prizes to the winners of ‘Planet Quiz’.